For mandate-compliant ADS-B under $3000 installed, the uAvionix skyBeacon and Garmin GDL82 make practical sense, but only with healthy transponders. The following is reprinted with permission. Copyright Aviation Consumer magazine 2018. All rights reserved. The skyBeacon wingtip light in the main photo above beats the Garmin GDL82, for overall utility and ease of installation. But Garmin has an STC— the skyBeacon is pending. If you’re still holding out for a cheaper mandate-compliant ADS-B upgrade, the calendar is closing in on you. We’re hearing that the better avionics shops have sizable installation backlogs—some greater than six months—for even basic upgrades. Some are charging a premium for priority scheduling. We predicted this very scenario years ago, and suspect shop labor rates will increase, moving forward. So since some buyers might actually pay more for installation because they waited too long, and with less than 23 months until the FAA’s ADSB mandate takes effect, we decided to scan the dense market for the absolute lowest-cost solutions. We picked Garmin’s now certified GDL82 andthe uAvionix skyBeacon, both priced sub-$2000, plus installation. Since we know that low-cost equipment may not be the easiest to install, we looked hard at the installation process, required accessories and optional accessories. Read on for a technical and cost comparison of the two ADSB systems that we think will serve the market’s low-flying lower end. When the shop has the aircraft for the FAR-required two-year transponder certification, it’s a good time to get a proposal for an ADS-B installation. Be prepared to talk technically and be able to answer whether you want a 978 UAT or 1090ES ADS-B transmitter. By now you know that if you plan to fly over 18,000 feet you’ll need a 1090ES transponder. Both of these are lower-flying UATbased systems. Easy decision. But it’s not all about service ceiling. As we’ve advised in the past, if you’ve been nursing along a vintage transponder, now is the time for a two-shot upgrade with a 1090ES ADS-B transponder. We looked at them in the ADS-B Buyer’s Guide article in the May 2017 Aviation Consumer. We’ll refresh the guide for our May 2018 issue. If you’ve fallen behind with the required FAR 91.413 two-year transponder certification, now is the time to get it done. Ask the shop doing the inspection if they think the transponder is healthy enough to survive long-term service. It’s also time to evaluate the existing transponder antenna system, including coaxial cabling. ADS-B systems interact heavily with the Lband transponder system and it has to work well. The GDL82 and skyBeacon both have integral WAAS GPS, solving the high-dollar dilemma for aircraft that haven’t seen a GPS upgrade. Neither system has ADS-B In capability, but uAvionix is working on an interesting companion product that does. While low-budget solutions are generally ADS-B Out only, that isn’t necessarily a bad way to cut costs. The market is rich with good performing portable receivers and even better tablet apps for playing the data. Buyers likely already own a trusted portable receiver. transponder and the transponder antenna system. See the installation sidebar on below for a pictorial. It’s a practical interface that we wonder why it has taken years to develop. 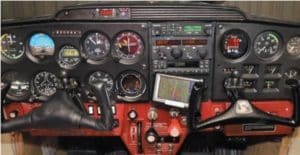 The patent-pending system is certified via an STC with a flight manual supplement on a Mooney M20 series, and Garmin authorizes installers (via STC authorization letter) to use the STC as a basis for signing off the GDL82 installation. It used to be that even with this previously approved data, shops had to lobby for FAA field approval. But according to Garmin, as long as the install is performed according to the STC installation manual, it can be signed off as a minor alteration by either a Part 145 repair station or an A&P holding an IA (Inspection Authorization) certificate. Based on our research, this is in line with the FAA’s March 2016 memorandum for guidance on the installation approvals for ADS-B Out systems. What does this mean for you? Less regulatory work for the installing shop means fewer labor dollars billed into the bottom line. 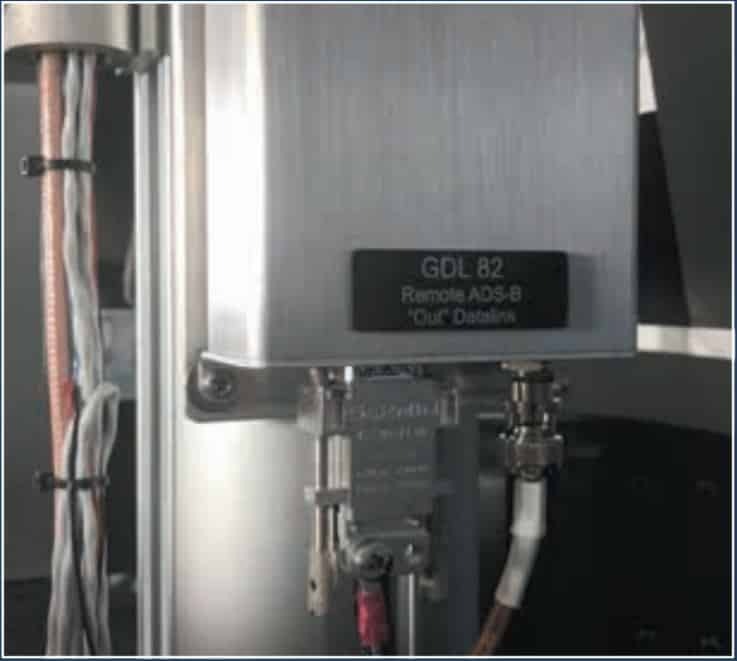 The GDL82 is a smart box in the sense that it synchronizes with the aircraft’s transponder via 1030 MHz interrogations to obtain the transponder Mode 3/A squawk code, pressure altitude and Ident status. Garmin calls this Autosquawk and it’s used on other Garmin ADS-B products. Autosquawk eliminates the need for a separate ADS-B control head, something required for some low-cost L3 and Freeflight ADS-B systems. The GDL82 footprint is 3.39 inches wide, 1.48 inches high and 7.99 inches long, making it the right size for connecting in-line with the transponder antenna cable. The output goes directly to the transponder antenna. Since the device has a built-in WAAS GPS, it has input for an external GPS antenna, which is included with the system. 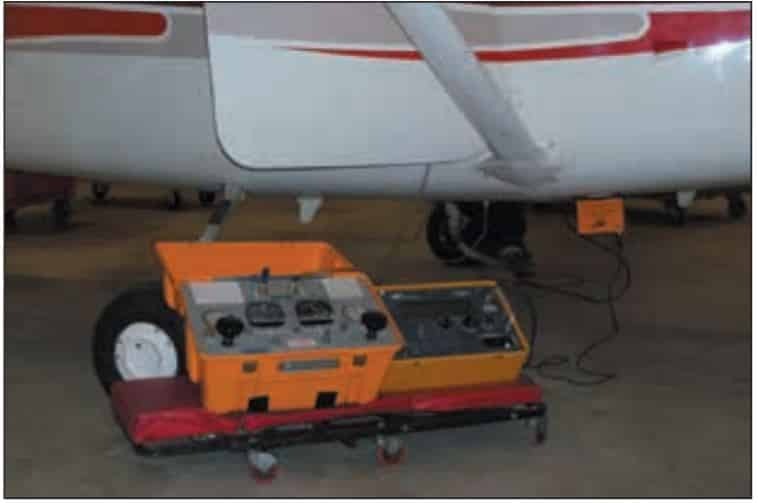 It’s important to note that the STC does not provide data for the basis of airworthiness approval for the GPS antenna, but for unpressurized aircraft, this is easily signed off as a minor alteration. It’s possible to use an existing panel GPS navigator for inputting WAAS position to a version of the GDL82 that doesn’t have a built-in GPS, although Garmin makes little if any mention of it in its marketing materials. That’s because the GDL82 is really intended as a bare-bones ADSB solution for minimally equipped aircraft. Plus, the effort it might take to run RS232 serial data wiring from the panel GPS to the GDL82 could eat up any cost savings. style. You might have to spend more money to upgrade an older system. The installation manual advises replacing the transponder cable/connectors with MIL-C-17 type F low-loss cabling because it might be required to pass the transponder ramp check in accordance with Part 43, appendix F performance criteria. 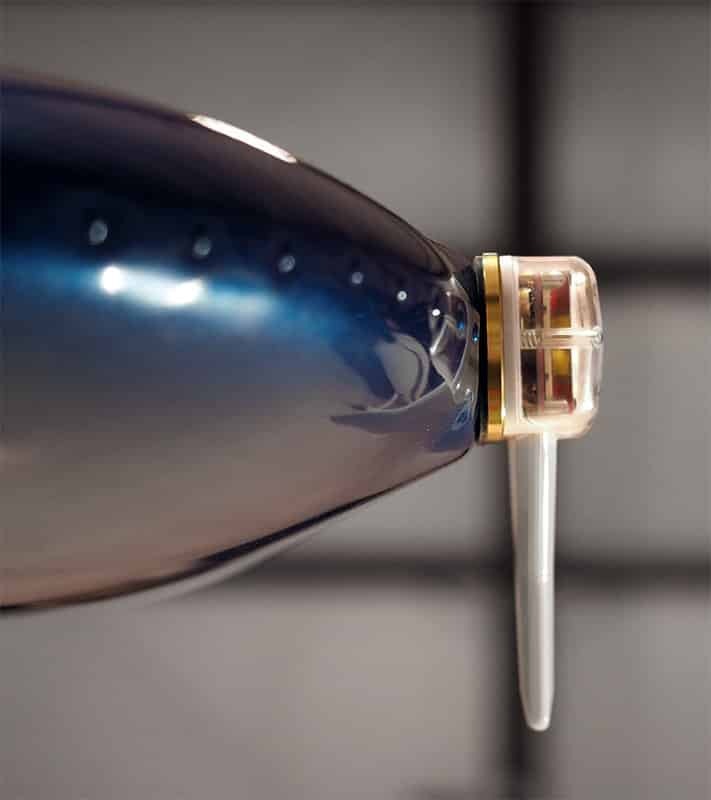 Shortchanging the installation could mean limiting the service ceiling of the aircraft. 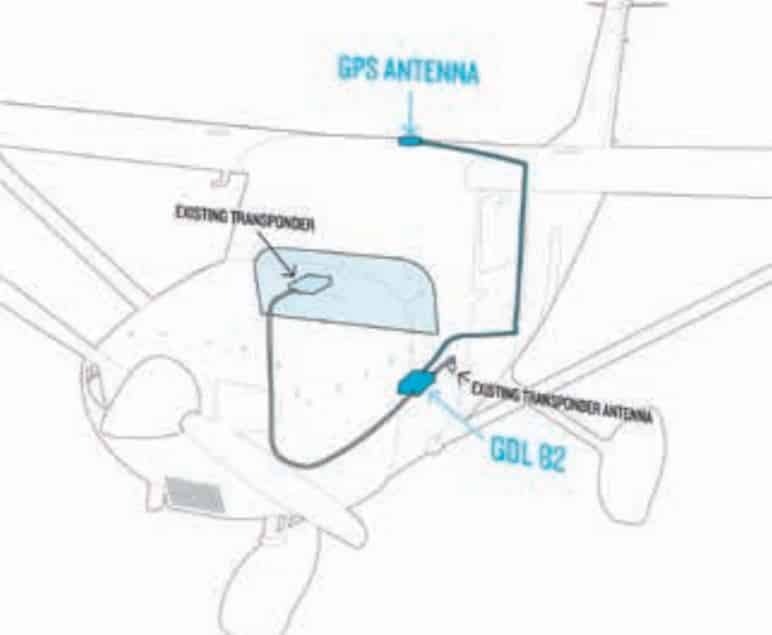 The STC warns that while an existing transponder is a Class A (that is,with an operational ceiling greater than 15,000 feet), a degraded antenna system could limit its service ceiling to Class B standards, good only below 15,000 feet. The limitation must be documented with a panel placard and logged in the flight manual. Optional is a panel-mounted ADSB Out failure annunciator, warning that the ADS-B transmissions are inoperative. There’s also an anonymous mode switch, which allows the GDL82 to transmit a temporary address instead of the aircraft’s assigned ICAO 24-bit address, when the Mode A/C transponder is squawking 1200. These optional accessories might add several hundred dollars or more to the installation. The install manual says they have to be installed in a panel location so that the pilot has an unobstructed and undistorted view of the annunciator. That Cessna panel at the top is a poster child for a GDL82 or skyBeacon upgrade. It has a modern transponder, but no WAAS GPS. 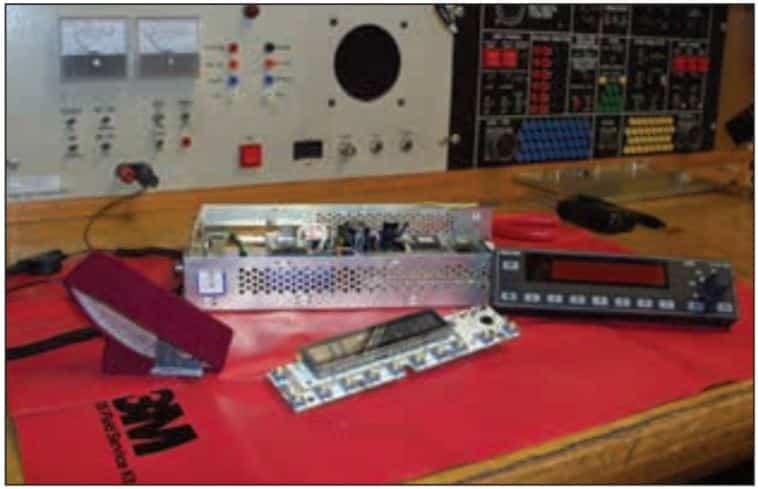 If your transponder needs major repairs, we say price a transponder-based ADS-B solution. to spend additional money on a new antenna system. WHAT MIGHT THESE REALLY COST? and anonymous mode switching, plan on paying for panel work to cut the holes, wire the lamps and switches, plus the cost of the accessories. Round numbers, plan on an additional $300. There’s also the option for connecting the system to a weight-on-wheels sensor to control air/ground status, but we think this will be rare given the entry-level nature of the GDL82. A big installation variable will be the effort required to install the GDL82’s antenna, either the GA35, GA36 or GA37. This requires removal (or at least partial removal) of the aircraft headliner or overhead panels, cutting a hole, mounting the antenna, sealing the antenna, running coaxial antenna cable from the GPS antenna to the GDL82 and then putting it back together. If you plan to use a compatible panel GPS, it will require accessing the GPS harness connectors and running RS232 wiring into the GDL82. In the end (and for the lucky ones) the most basic fly-away total installed price could be as low as $2800, and for others as high as $4500 with options, including all parts and labor. The uAvionix skyBeacon system comes with everything needed to complete the installation, including the hardware that bolts the device on and in place of an existing navigation light. uAvionix says you can use the existing lighting wires (power and ground) that run into the wingtip without having to route a new harness to the cockpit switch. Since the STC hasn’t been finalized, there are some unknown requirements about whether the device will require a pullable circuit breaker or even a dedicated on/off switch to control the strobes. Unlike the Garmin, the skyBeacon doesn’t require a top-of-cabin WAAS GPS antenna because it is self-contained in the device, as is the L-Band antenna for the ADS-B transmissions. As for the strobe light interface, we like the concept of controlling the lights via tablet app. Best case, aircraft that don’t have strobes installed won’t need a lot of wiring, or a dedicated control switch. Again, the final STC will define the requirements. Still, if uAvionix holds to its target price, we think a skyBeacon install might easily fly away for $2200—tops. ADS-B compliance plus an LED lighting upgrade give the patent pending skyBeacon an advantage over the GDL82. We covered the skyBeacon in the December 2017 issue of Aviation Consumer, and the company has made some product announcements and updates since we went to press with the article. 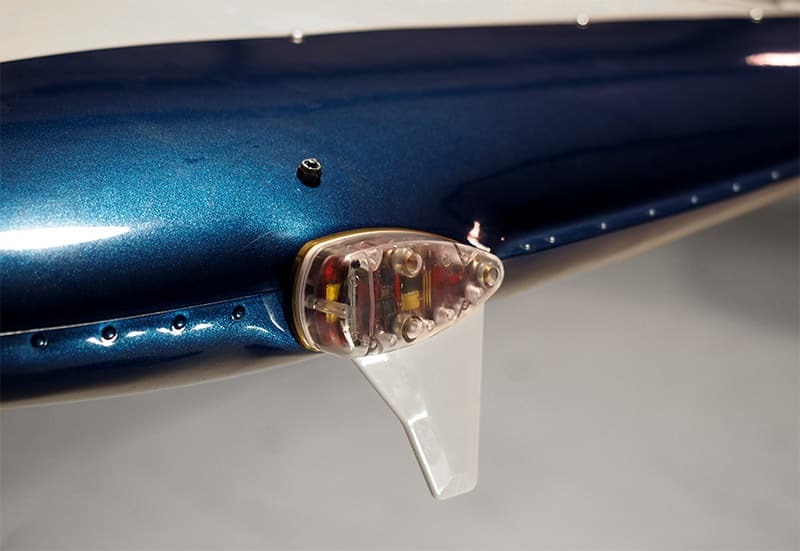 To recap, the skyBeacon is a 978 UAT solution that’s designed to mount to the aircraft’s wingtip, using the mounting and wiring for an existing wingtip position light. The device has a built-in WAAS GPS receiver and antenna, plus a 40-candela intensity red LED position light. The skyBeacon has transponder monitoring circuitry that’s smart enough to keep the aircraft’s transponder and ADS-B squawk codes and Ident status in sync without a separate ADS-B control head. Like the Garmin, this is a money saver. While the skyBeacon is available for experimentals and LSAs now, uAvionix told us certification via an STC program is targeted for this spring. The certified version of the skyBeacon will have a forward LED navigation light and also include an LED anti-collision strobe lamp that can be activated and deactivated with an existing strobe light switch, or via a tablet app. The company is planning to release a companion starboard configuration skyBeacon for ADS-B In, which will connect to common tablet apps for displaying weather and traffic. One limitation of the skyBeacon we evaluated is that it won’t work as a dropin replacement for wingtip lighting housed inside of a fairing. uAvionix told us to expect alternative mounting options by the time the system is certified. As for pricing, uAvionix plans to stay aggressive. “We know how important it is to come in below the $2000 price point, including installation,” Shane Woodson at uAvionix told us. The company maintains that a typical skyBeacon installation will be accomplished in an hour or less. “This represents a far lower cost of ownership than other recent affordable solutions,” Woodson said. He’s likely referring to the GDL82, plus he’s confident that the companion ADS-B In model will cost much less that the ADS-B Out version. 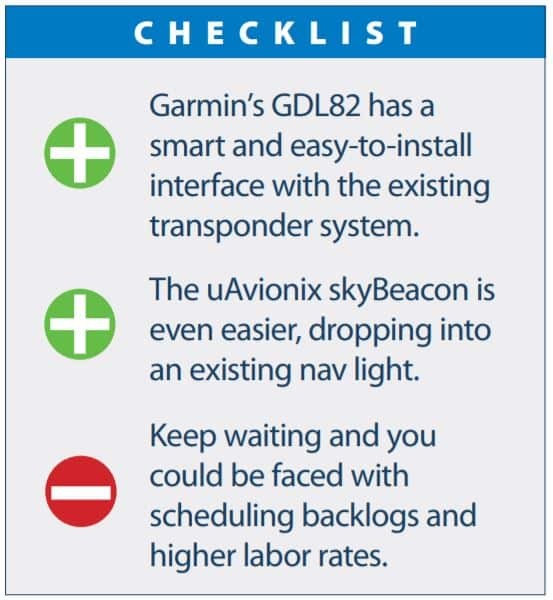 While we like the simplicity of Garmin’s GDL82, you get what you get and that’s only bare-bones ADS-B compliance. In our view, that gives the skyBeacon a clear advantage for some aircraft. Given that certified LED nav lights can run, on average, $900 to $1200, the skyBeacon allows for both an easier installation plus ADS-B Out equipage for roughly $1000 more than a simple LED wingtip light upgrade. There’s also the benefit of reducing power draw from the 26 watts or more with dual strobes to roughly 10 watts on both wingtips, thus greatly reducing the strain on older charging systems. But if the aircraft needs a transponder upgrade—and many older, entry-level aircraft do—we think a transponder-based ADS-B solution makes sense over either of these systems. Don’t forget the altitude encoder. We think Garmin’s GDL82 has an advantage because it already has an STC. You’ll have to wait until spring for the certified skyBeacon. For some, it will be worth it to get new lighting.